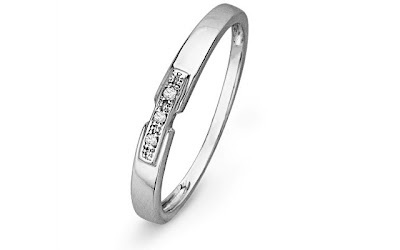 This 10KT White Gold Round Diamond Three Stone Ring (0.03 CTTW) is currently selling for just $69.99 on Amazon.com! You will be saving 72% off the listed price of $249.99 with this jewelry deal. What I like about this white gold diamond ring is that it comes in a ring size as small as 4.5 (up to 8.5), which makes it a possible pinky ring, promise ring, or a wedding band.